The next five to 10 years will bring unprecedented change to the farming industry, and while there are many issues that farmers can’t control, there is plenty they can do to prepare. According to Peter Kendall, chairman of AHDB, the arable industry is enjoying a honeymoon period before Brexit, with access to support payments and EU markets, and reasonable grain prices. Now is therefore the time to act and prepare for future change by coming together, sharing knowledge, and being ambitious. “All possible outcomes of Brexit are going to change our business environment,” explained Martin Grantley-Smith, AHDB Cereals & Oilseeds’ strategy director. To prepare for that, farmers need to understand their business and costs of production, and have access to the right information to make good decisions. 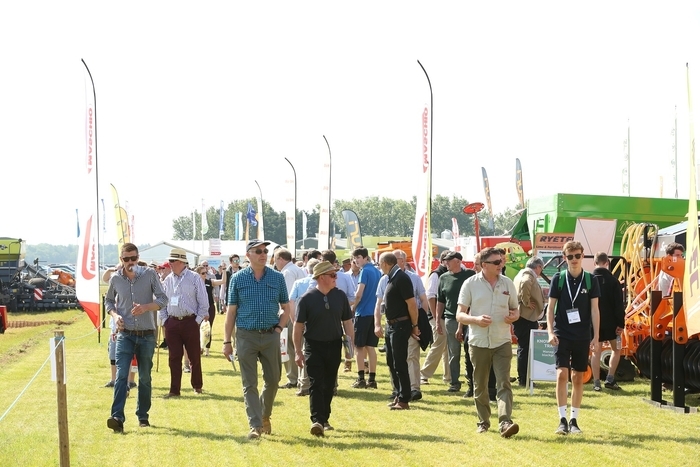 There was plenty of new technology on offer at the Event, from cutting-edge precision machinery to novel plant breeding and genetic research. Newcastle University unveiled a new blackgrass resistance diagnostic test at the Event, designed to quickly highlight blackgrass resistance in crops. It works by measuring a specific protein which regulates resistance, and allows growers to instantly adapt their management strategy.